At Dvorak Law Offices, LLC, we understand that the outcome of your criminal case affects more than just your immediate circumstances. 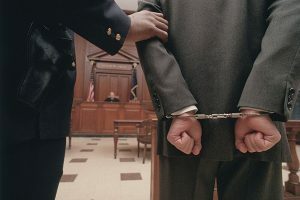 In addition to fines and the possibility of jail time, a criminal conviction can negatively impact your career opportunities, your relationships and your reputation within the community. 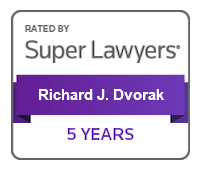 Criminal law attorney Richard Dvorak provides diligent and aggressive advocacy to help you deal with your criminal charges and the other serious ramifications you are facing. Attorney Richard Dvorak, works and lives in DuPage County. 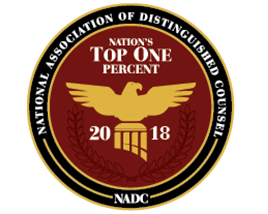 Although he has a thriving criminal defense and civil rights practice in DuPage County, he also maintains an office in the Loop in downtown Chicago and practices throughout Cook County and elsewhere in Illinois and in the federal courts across the nation. 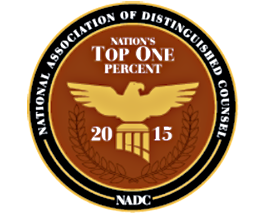 We focus our criminal defense representation on overcoming the unique challenges that may be present in your case. We will take the time necessary to understand your situation, perform a thorough investigation and develop an effective defense strategy focused on your needs and objectives. We can also identify if there is cause to pursue a civil case on your behalf related to a civil rights violation committed by the officer, such as false arrest, illegal search or seizure, police brutality or other police misconduct. 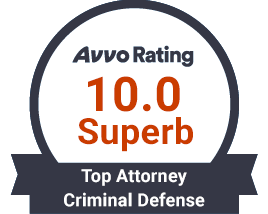 Mr. Dvorak has handled thousands of criminal matters, and successfully defended numerous serious and high-profile criminal cases, from misdemeanors all the way up to murders and Supreme Court appeals. Below are examples of some of these cases. Armed Robbery, Burglary/Aggravated Robbery, Theft and Retail Theft, etc. People of the State of Illinois v. F.A. (2003) — In the Seventh Judicial District, Vernon County (Wisconsin). The client, a Wisconsin resident, hired Attorney Richard Dvorak to represent him in a case in a small town in Wisconsin, where, during jury selection, about three-quarters of the jury admitted to knowing the police and prosecutors, but were nevertheless not excused from the panel. Nevertheless, Mr. Dvorak tried all of the multiple felony counts before the Jury, and the Jury found the client Not Guilty of all the charges. Possession, Possession of a Controlled Substance with Intent to Deliver, etc. People of the State of Illinois v. F.W. (2004) — In the Circuit Court of Cook County. The client was charged with possession of a controlled substance. The client alleged the officers planted drugs on him during the arrest. Attorney Richard Dvorak took the case to trial, and the client was found Not Guilty by a Jury. One of the officers who testified against the client, A Cicero police sergeant, was eventually himself charged with criminal federal civil rights violations, and sentenced to five years in federal prison. Resisting Arrest, Battery, Obstructing and Disarming a Peace Officer, etc. People of the State of Illinois v. A. A. (2016) -- In the Circuit Court of Cook County. The client, a young African-American Muslim woman, was charged with aggravated battery to a peace officer for allegedly hitting an officer during a traffic stop. Mr. Dvorak was able to show that the client, her friend, and brother (all of whom were Muslim) were likely stopped based on racial profiling. The incident was captured on video (although of poor quality) from a nearby gas station, and this video contradicted the officer in numerous respects. The jury was out less then a half hour before coming back with a verdict of not guilty. Murder, Attempted Murder, Vehicular Manslaughter, and Reckless Homicide, etc. People of the State of Illinois v. J.C. (2010) - In the Circuit Court of Cook County. The client was charged with first-degree murder. The client was able to bond out during the pendency of the case. There were two eyewitnesses to the shooting who claimed the client was involved in the shooting. The alleged murder weapon was also found in the client's bedroom. One eyewitness recanted before trial, telling a defense investigator that he was pressured by police into claiming our client was involved in the shooting. The other witness was thoroughly cross-examined and discredited at trial. The client was found not guilty. Sexual Assault, Predatory Criminal Sexual Assault, Harassment, etc. People of the State of Illinois v. J.R. (2015) – In the Eighteenth Judicial Court, DuPage County. The client was charged with sending “obscene” messages, via email, to a DuPage County probation officer. 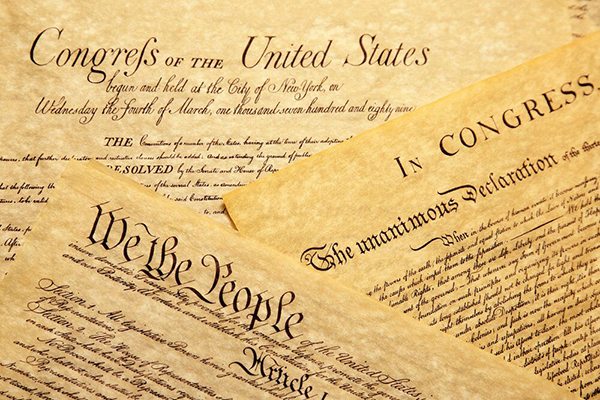 Even though the language used was profane, and could be deemed as offensive, Mr. Dvorak filed a motion to dismiss the charges, and successfully convinced the judge that the emails were protected speech under the First Amendment to the United States Constitution. 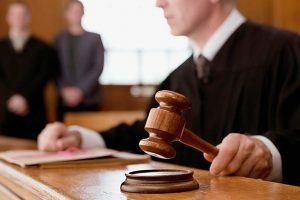 The judge dismissed the case, in its entirety, without the client even having to go to trial. The DuPage County State’s Attorney’s Office reviewed the matter, and decided not to appeal the judge’s ruling, and thus the case remains dismissed. Statutory Summary Suspension (DUI) and Reckless Homicide, etc. People of the State of Illinois v. A.S. (2004) — In the Twenty-First Judicial Circuit, Kane County. In a case where the client alleged the arrest was politically motivated, the client was charged with DUI, and the blood test results revealed a BAC allegedly over three times the legal limit of .08. However, Mr. Dvorak convinced the judge that the blood test results were unreliable, and the judge found the client Not Guilty. Unlawful Use of a Weapon, UUW by a Felon and Possessing an Illegal Weapon, etc. People of the State of Illinois v. S.G. (2014). In the Circuit Court of Cook County. The client was charged with felony unlawful use of a weapon for allegedly having a weapon in his vehicle. Mr. Dvorak requested the video of the incident, but later found out that the arresting officer destroyed the video. Mr. Dvorak was able to convince the judge to sanction the State for destroying evidence. The sanction was that the State would be unable to introduce any evidence from anything occurred during the traffic stop, which essentially destroyed the State's case. Based on the court's ruling, the State immediately dismissed the case. Domestic Battery, Simple Battery, Aggravated and Criminal Battery, etc. People of the State of Illinois v. V.R. (2010) — In the Circuit Court of Cook County. The client was charged with domestic battery for allegedly physically abusing his girlfriend. During the trial, the complaining witness also claimed the client raped her. Attorney Richard Dvorak thoroughly cross-examined the complaining witness, and also called the police officer who responded to the scene to contradict the complaining witness' version of events. The client was found not guilty. Mr. Dvorak has a thriving federal practice. 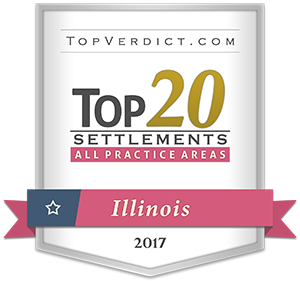 Chicago and DuPage County federal criminal defense attorney Richard Dvorak has the skills and legal resources to take on federal charges. Drawing on more than 17 years of practical trial experience and an in-depth knowledge of the federal process and sentencing guidelines, he will aggressively protect your rights, interests and freedom in federal court. 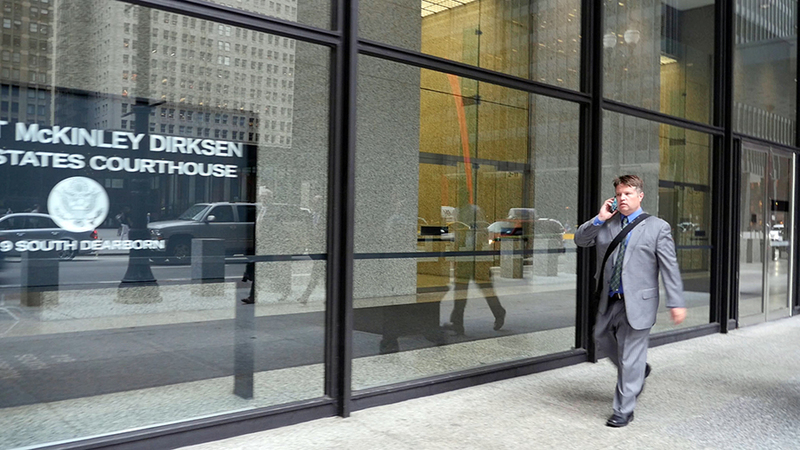 Dvorak Law Offices, LLC defends clients charged in the federal District Court of Illinois, Northern District, and in other federal jurisdictions across the nation. United States of America v. A. D. (2016) – In Northern District of Illinois. The client was charged with distributing methamphetamine. The Government asked the judge to sentence the client to a term of imprisonment between 70 and 87 months. However, after extensiveness mitigation was presented on the client's behalf, the judge imposed a sentence of 40 months, roughly half the sentence sought by the Government. United States of America v. A. D. (2014) – In the District Court of Colorado. The client was charged with being a member of a multi-state conspiracy to distribute narcotics. Even though many members of the conspiracy received prison sentences, Mr. Dvorak was able to obtain a sentence of probation, without any jail time. United States of America v. I.A. (2013) -- In the Northern District of Illinois. The client was charged with possessing, with the intent to deliver, two kilograms of heroin. The statutory minimum was 10 years in prison. However, attorney Dvorak was able to obtain a "safety valve" sentence, below the mandatory minimum. After that request was granted, the Government was still asking the judge to impose a Federal Sentencing Guideline range of 70 to 87 months in the federal penitentiary. However, Attorney Dvorak was successfully able to convince the judge to impose a below-guideline sentence of 60 months, due to the hardship an extended sentence would have caused the client. United States of America v. K. D. (2003) – In the Northern District of Illinois. The client was charged with resisting/obstructing a federal employee during an altercation at a post office. Mr. Dvorak took the case to trial, and the result was a hung jury. After the Government realized it would probably not win the case on re-trial, the case was eventually dismissed.